I decided to be an opportunist this weekend and scheduled both a jumping lesson and a dressage lesson for Fosterpants, before his injections lay him off for a couple days this week. Because our normal showjumping guru has left town for the winter, I tried a lesson with a trainer that I enjoy chatting to in the aisle when she comes, thinking it couldn’t hurt to have a fresh pair of eyes on us over fences. It turns out I have several habits that were quickly picked up on. Foster is bulging through his shoulders in both directions because I am using more inside rein than outside aids, and my upper body is getting stiff because I’m not breathing. We started with a trot pole exercises that was deceptively hard- trot through poles set for working trot, then two strides later trot through another set set up for a more collected trot. This got Foster paying attention to my aids quite quickly and placed the responsibility on him to figure it out. Once we were able to go through this in both directions we moved onto gymnastics- a bounce to a one stride, where I learned that I was leaning left, causing Foster to drift, and I need to think about keeping even weight in both heels. We then altered the gymnastic to just a one stride, and added on a few other fences to make a course. 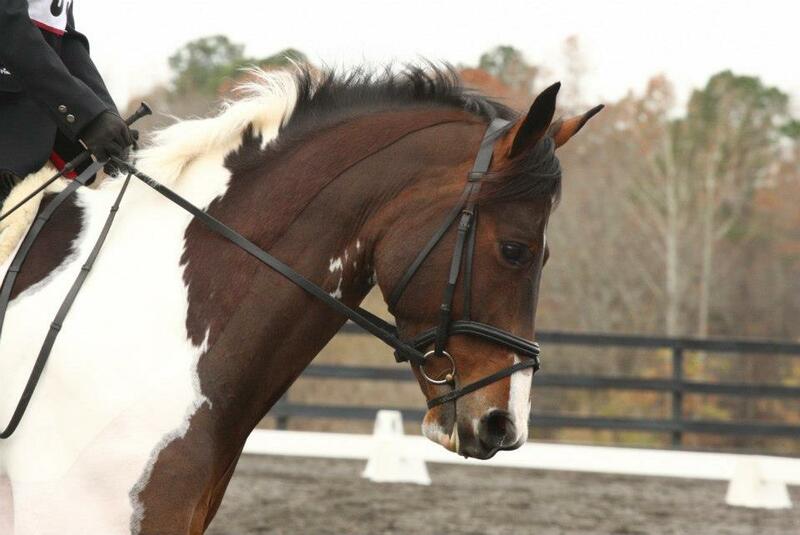 So one stride, then brick wall, followed by diagonal 5 strides combination ending on the pink oxer that I hate so much. I got a couple deep spots in, which is irritating, and had a discussion about moving forward to the fence and thinking of attacking it rather than letting it come to me and focusing on the distance. I’m hoping to continue building confidence in this mentality and give it a whirl in a couple weeks when we get back to jumping again! And also, I need to shorten my stirrups. Boo. Loving the pole idea of transitions within the gait to get the attention back on you. Very cool. Thanks 🙂 I blame my jacked up left side, but it’s definitely something I need to be more aware of! Foster looks so happy! Y’all are so cute together. love the videos! it’s kinda nice having a fresh set of eyes too, even if it mostly translates to more work (story of my life, at least) lol. nice work!